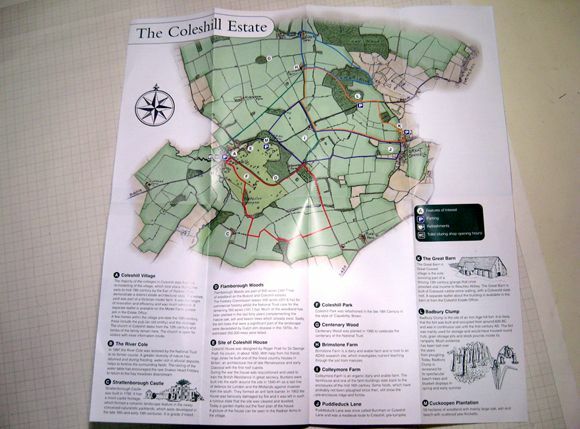 I have produced hand-drawn maps and illustrations in a professional capacity for many years. 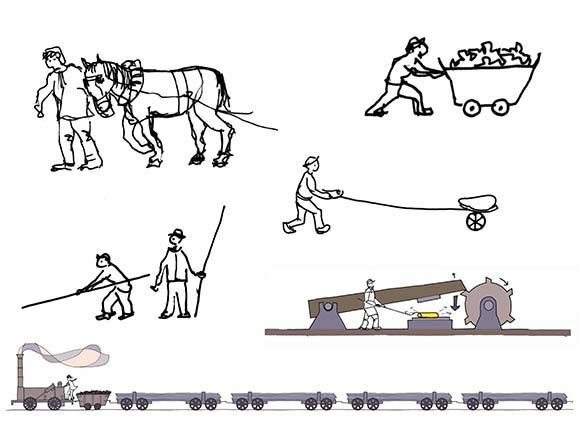 This is a good method to convey character and atmosphere, giving emphasis where required as well as being engaging to look at. 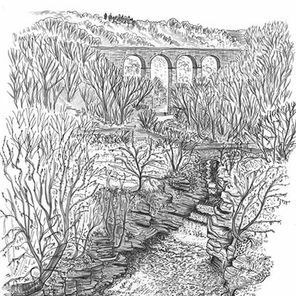 This has led to the development of specific styles, usually based on line drawings with colour washes. 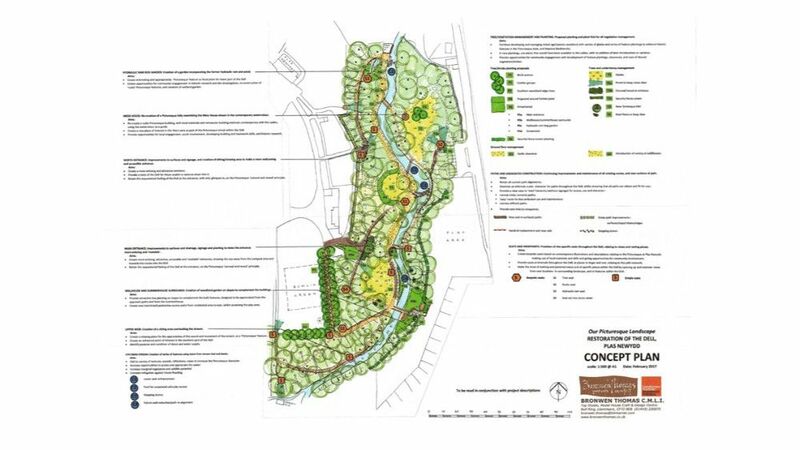 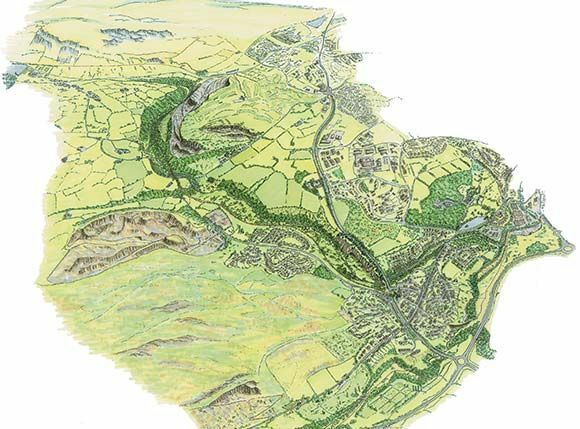 The use of a bird’s-eye view has proved to be an excellent way to graphically put across concepts and information about the landscape and built environment, and express a sense of place. 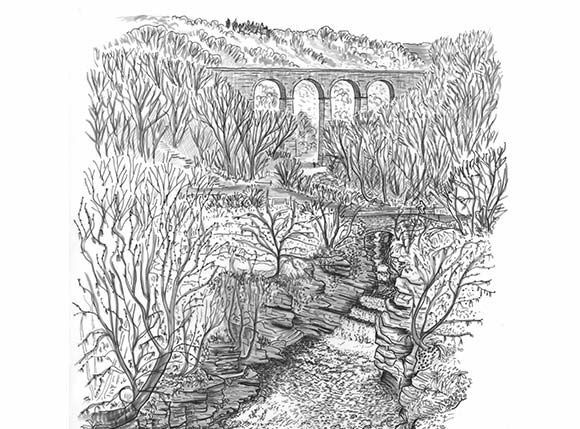 The success of these illustrations is founded on my thorough knowledge and appreciation of the landscape, gained by visits, research, and observations. 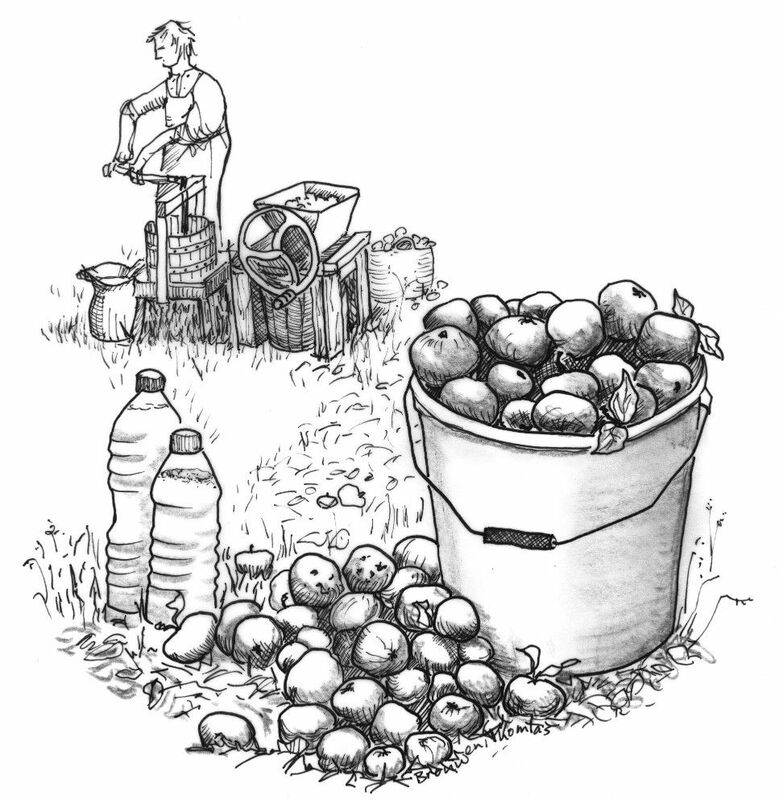 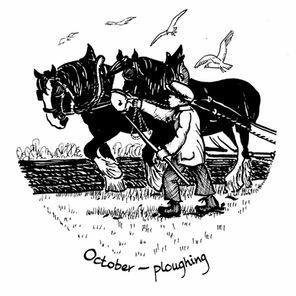 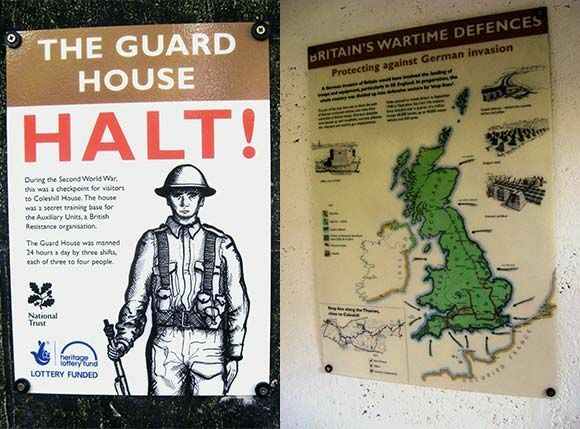 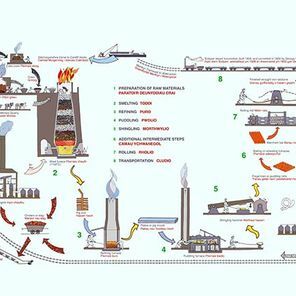 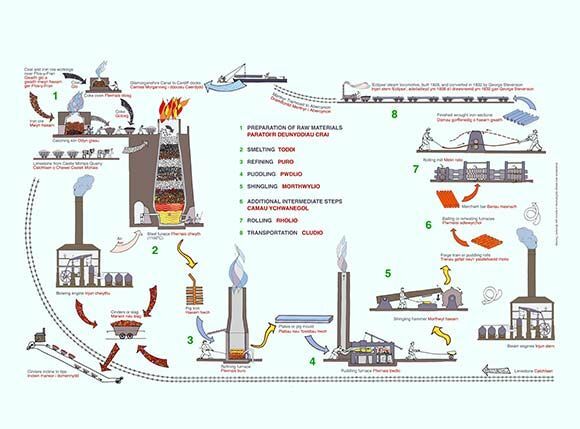 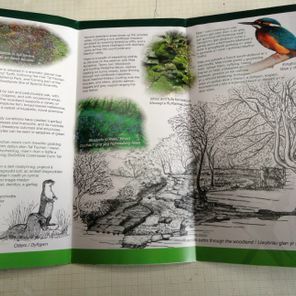 My illustrations are used for on-site interpretation panels, promotional literature, and book and website illustrations. 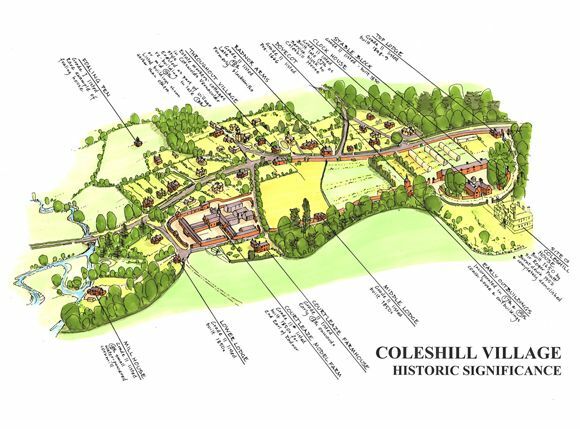 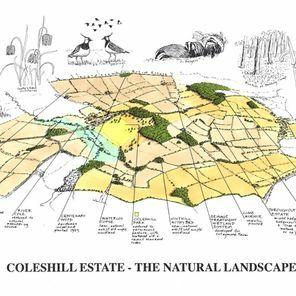 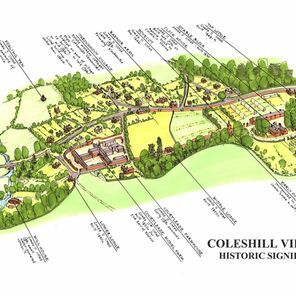 Adjacent to the Thames, the 7500-acre Buscot and Coleshill Estate includes 11 farms, woodland, 2 areas of historic parkland, and 5 villages. 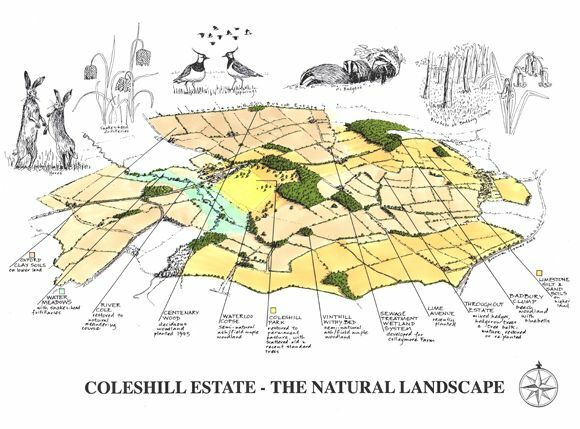 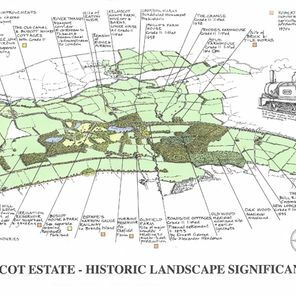 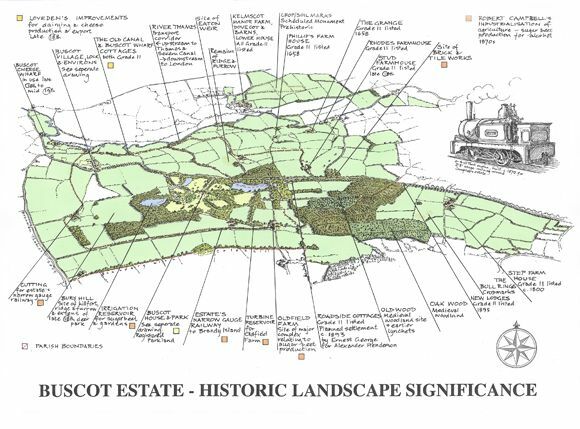 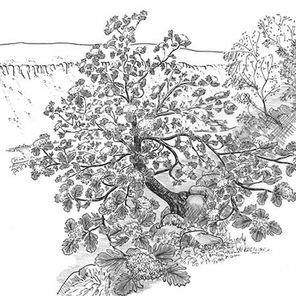 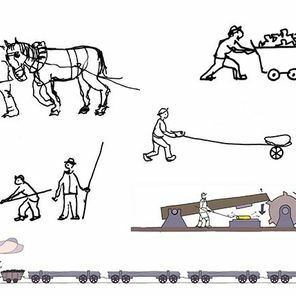 Having previously prepared the Buscot and Coleshill landscape management plan, I have subsequently prepared a variety of illustrations for use in Northern Territory interpretation and education. 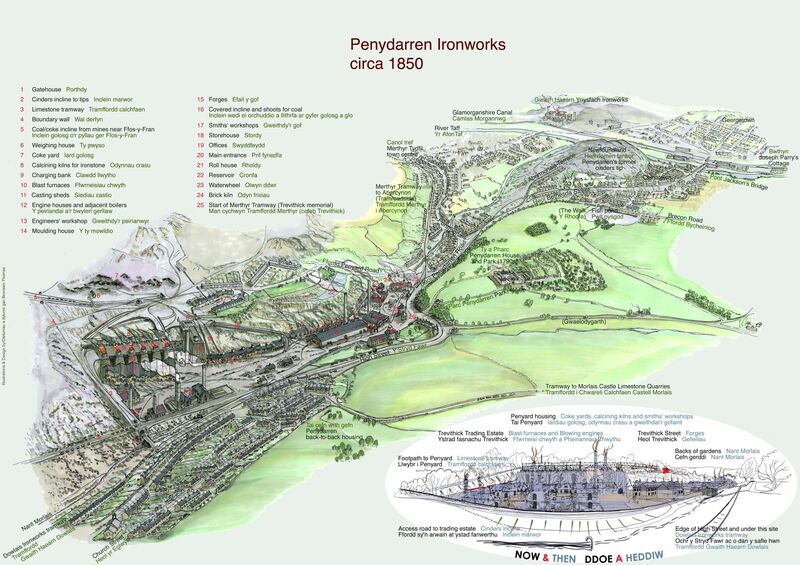 Hardly a trace remains today of the Penydarren Ironworks. 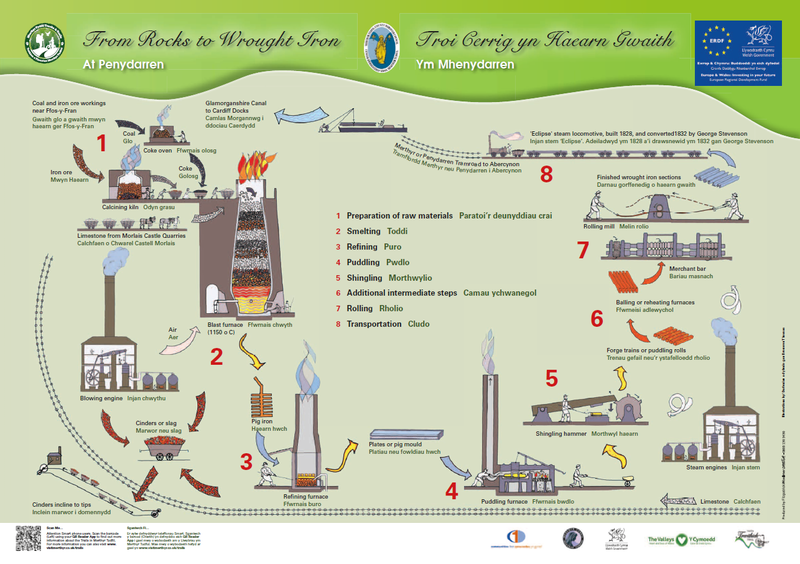 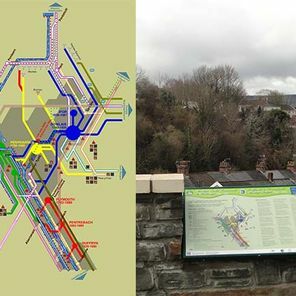 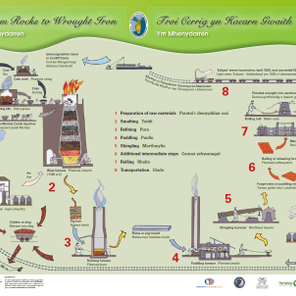 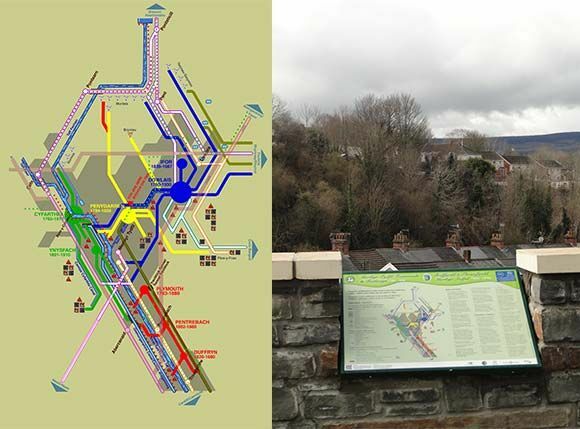 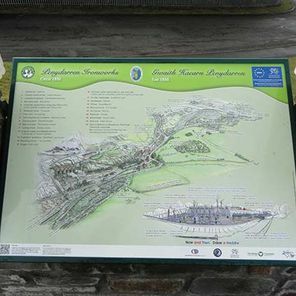 Now, the Trevithick Trail follows the route of the first ever steam locomotive, starting at a viewing platform overlooking the site. 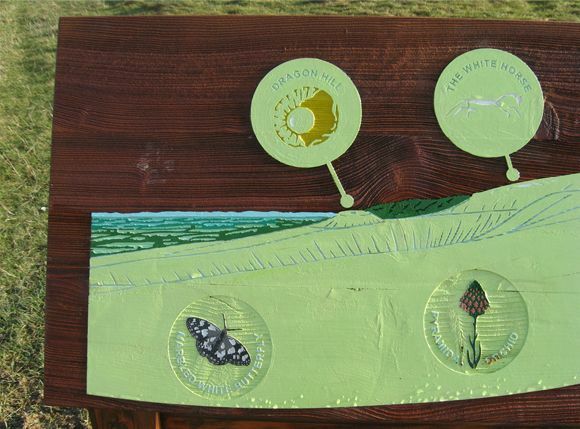 I produced the artwork and design for three panels set into the walls of the viewing platform. 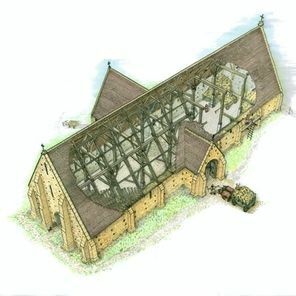 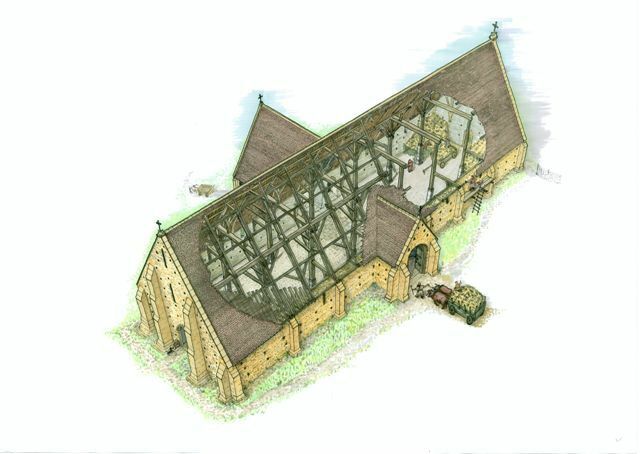 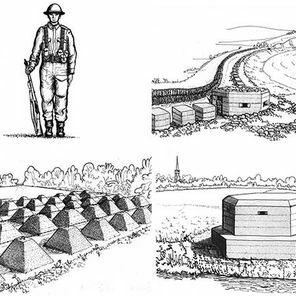 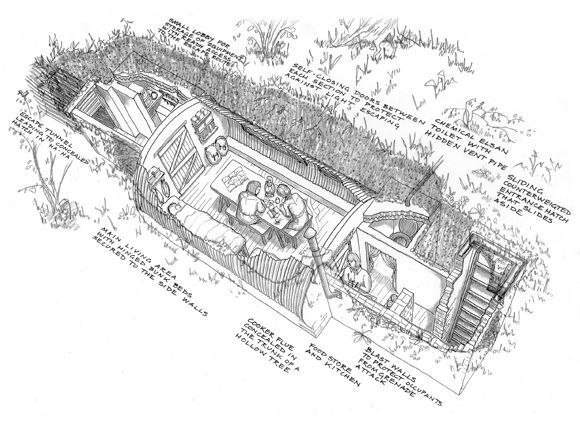 This involved carrying out research, gathering illustrations, maps and texts to inform the illustrations, and investigating what little evidence remains on the ground. 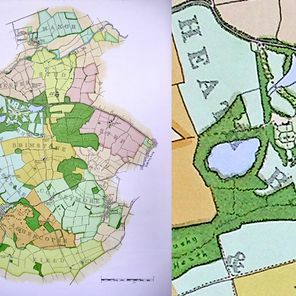 All illustrations were produced by hand and ink on tracing paper, then printed, coloured, scanned, and manipulated digitally. 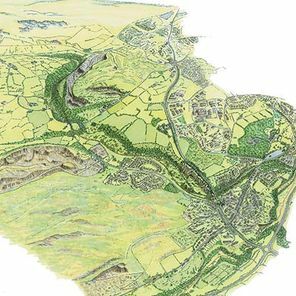 The Taf Fawr and Taf Fechan rivers flow from the Brecon Beacons, cutting steep-sided valleys through limestone, to have their confluence at Merthyr Tydfil. 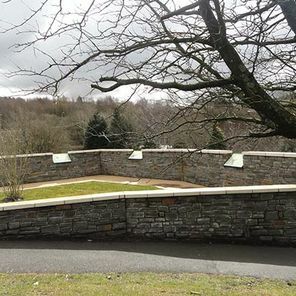 As the A470, the main road north through Wales follows the Taf Fawr valley, it is familiar to many people. 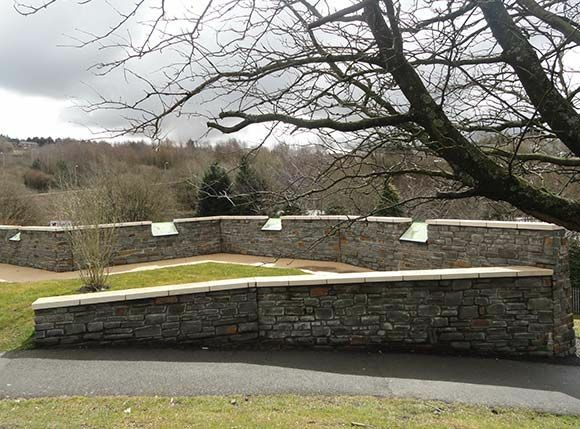 The Taf Fechan valley is more secluded although it’s within an easy walking distance of the centre of Merthyr Tydfil. 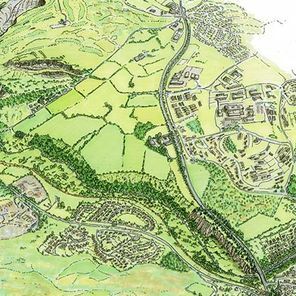 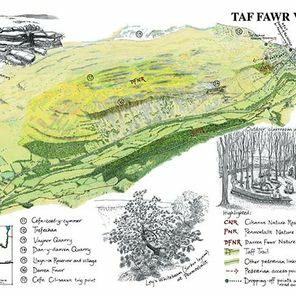 I was commissioned to produce a bird's-eye view of a 4-mile stretch of the Taf Fechan valley, showing the dramatic topography with many features of historic and industrial interest, wildlife sites, the Taff Trail, and other routes. 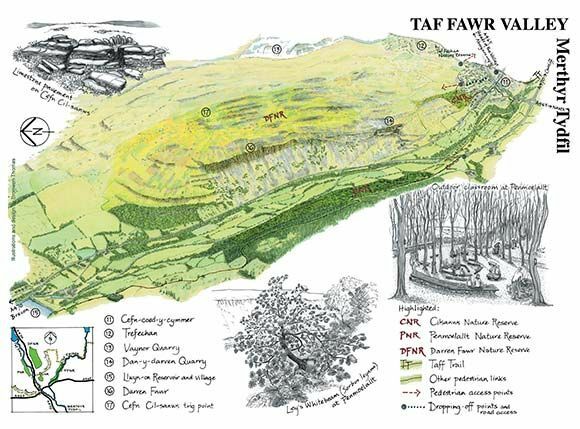 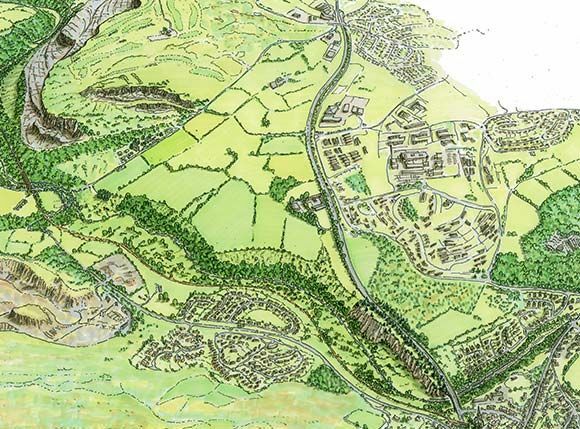 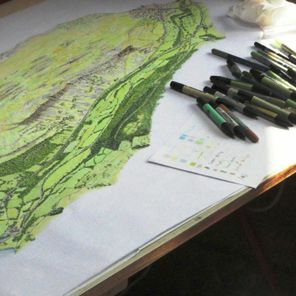 This was followed by the commission to produce a similar bird's-eye view of the Taf Fawr valley, with additional pen and ink drawings showing details of special features within the valleys. 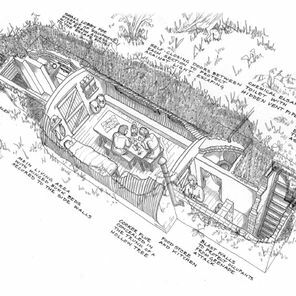 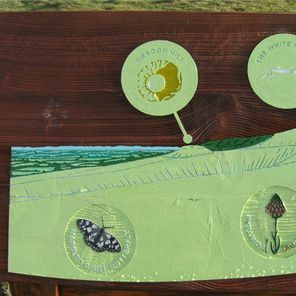 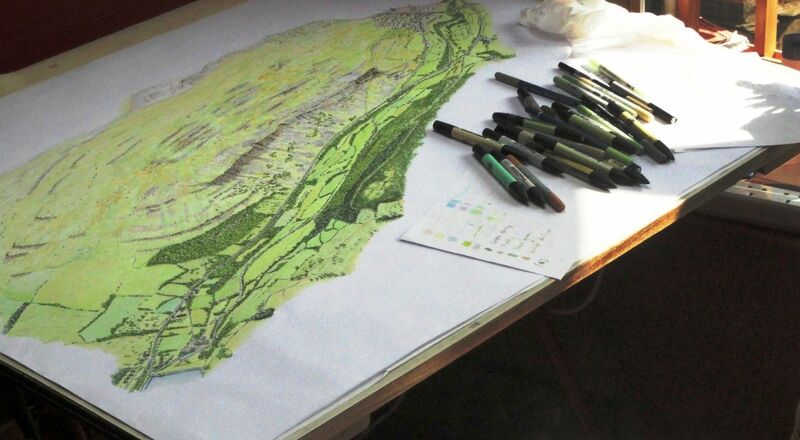 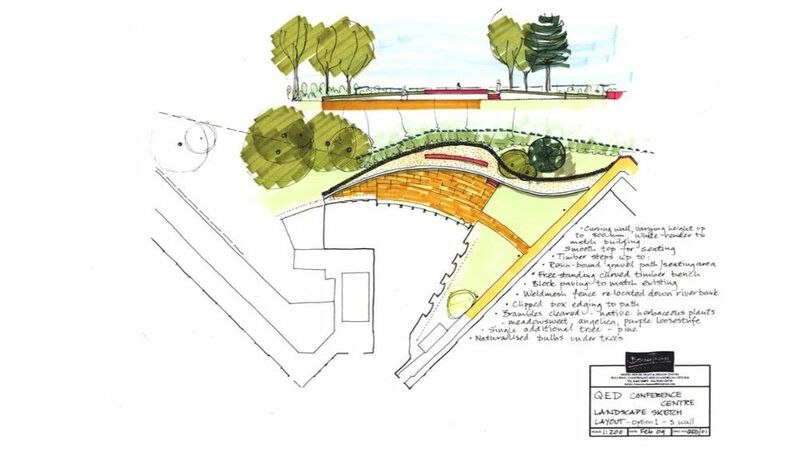 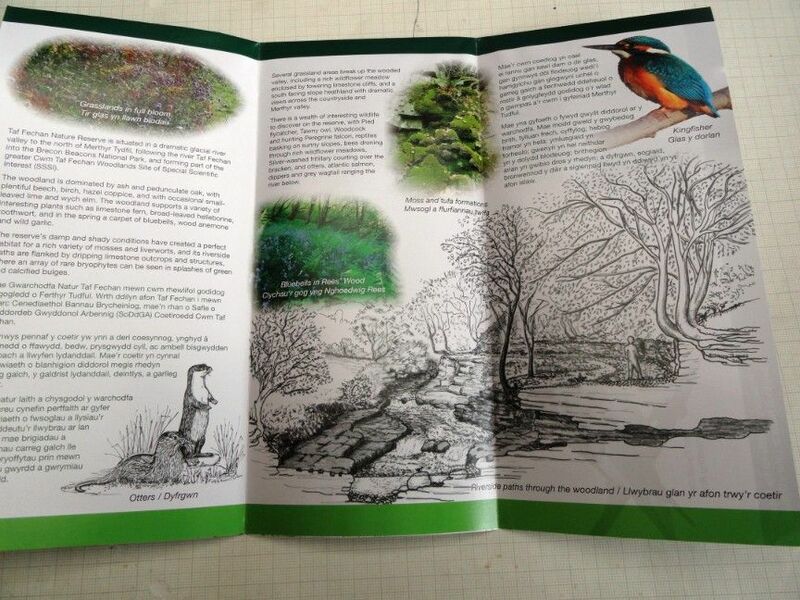 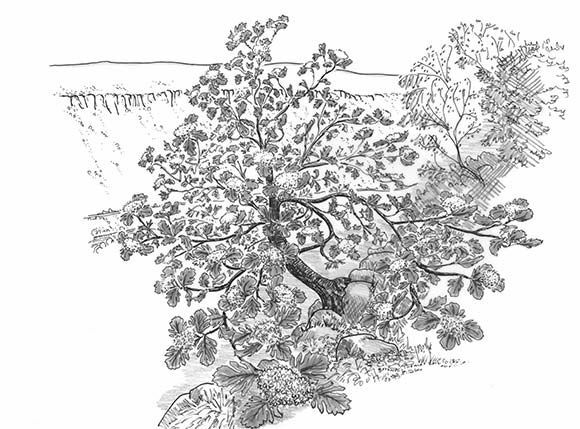 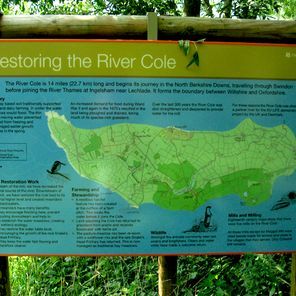 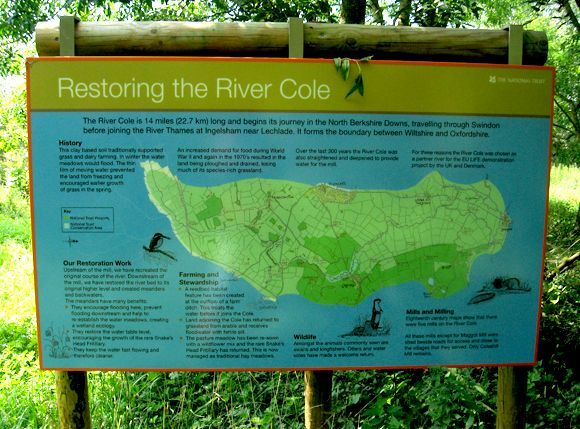 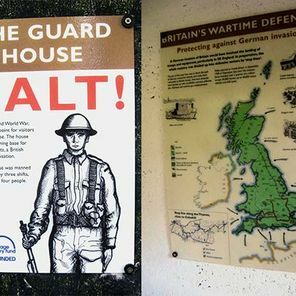 These drawings have been used for interpretation panels, large-scale display material, and the Taf Fechan Nature Reserve. 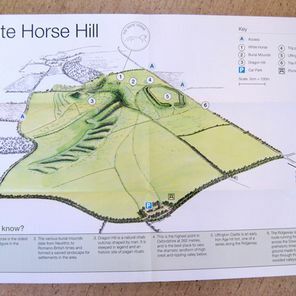 The wonderful enigmatic prehistoric White Horse, with other nearby ancient monuments, is on the escarpment of the Berkshire Downs looking out over Stanford in the Vale. 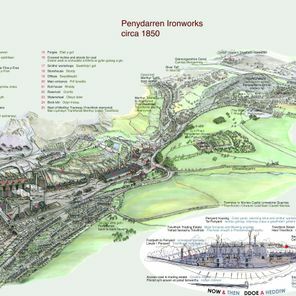 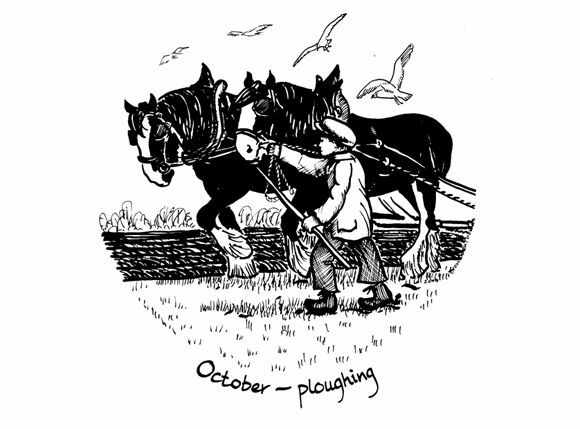 I was commissioned to prepare drawings for interpretation panels in the car parks. 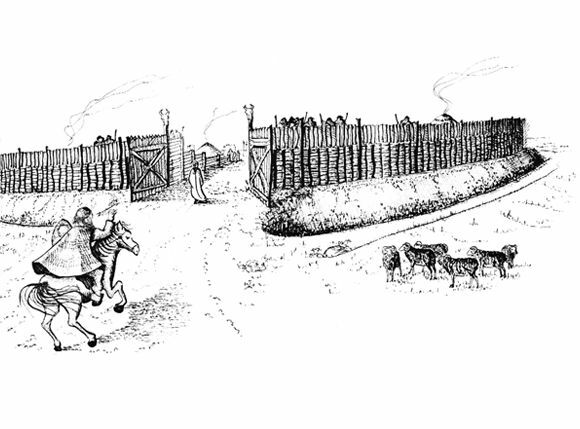 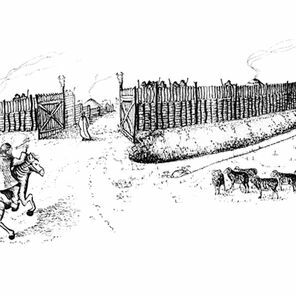 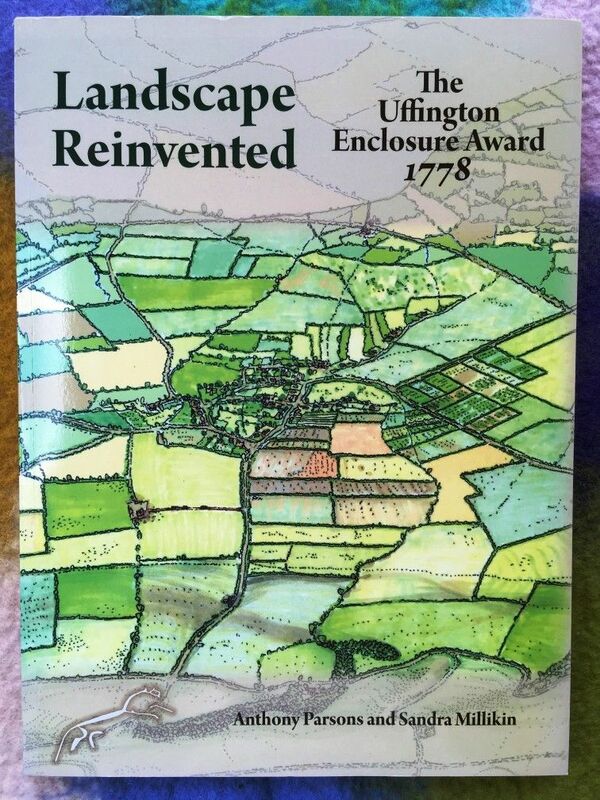 This included an illustration of Uffington Castle hillfort in its heyday, based on up to date archaeological evidence. 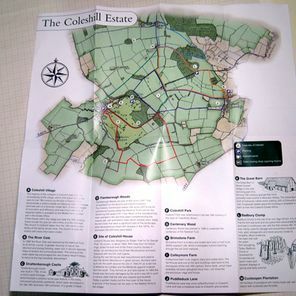 A bird’s-eye view of the property has been used in the information leaflet. 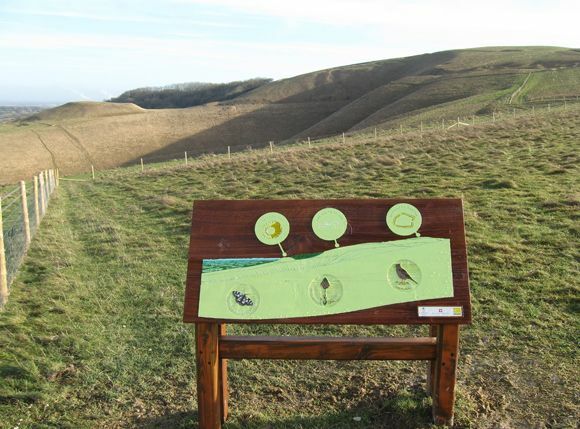 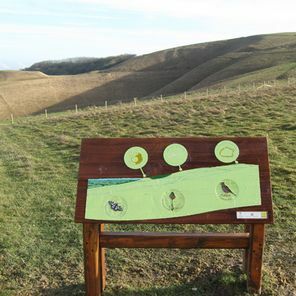 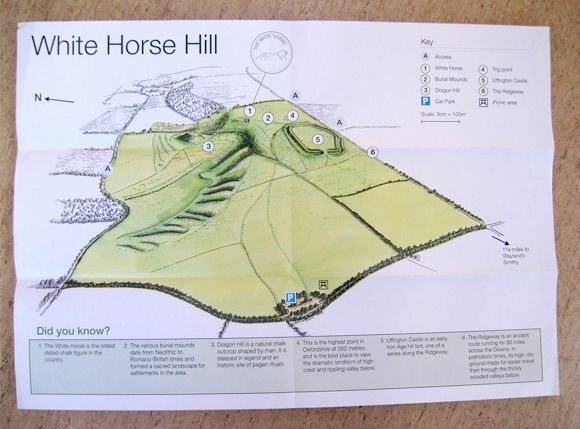 Additional panels were designed to interpret the panoramic views from the escarpment and to show the White Horse and other features of interest. 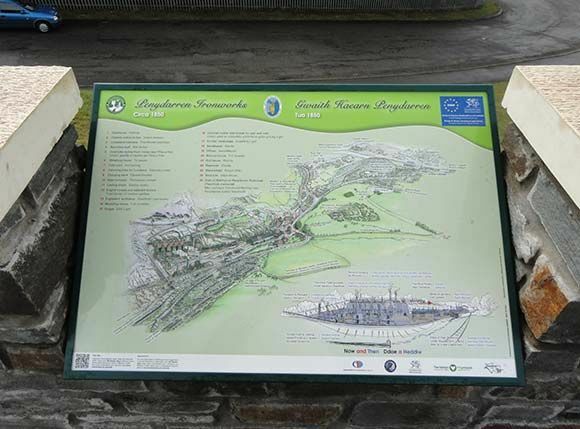 These were specifically designed for production as routed timber tactile panels for the visually impaired, with the views and features, whilst remaining clearly recognisable, were pared down into simple shapes. 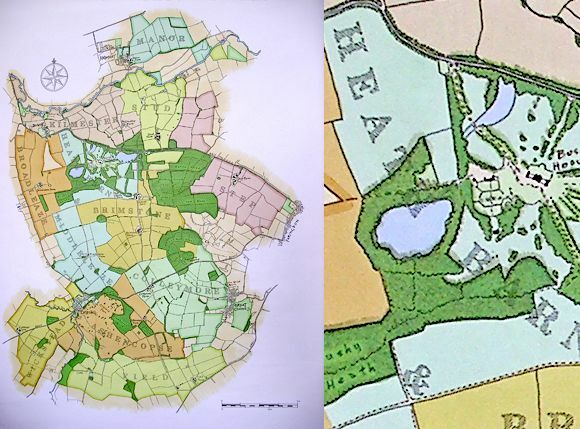 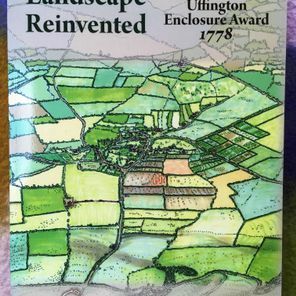 On the strength of these illustrations, I was commissioned by the authors of Landscape Reinvented: The Uffington Enclosure Award 1778 to prepare bird’s-eye views of the parish of Uffington before and after enclosure. 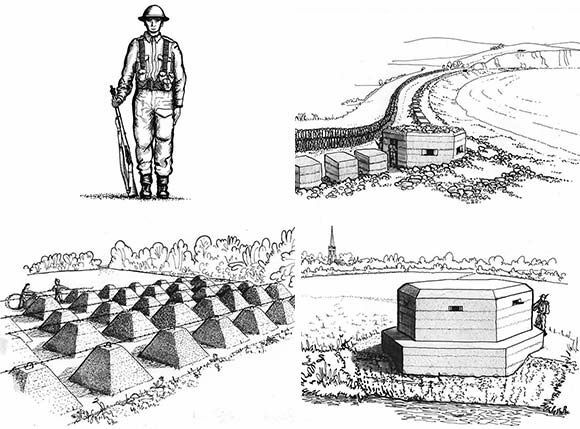 These were used on the front cover and inside the book.